Living in a world of innovative technical solutions. Pushing the envelope of science and discovery. Participating in the democratization of the visual medium. These phrases bring to mind the current generation of young men and women in our work force. Born in the mid-eighties, they were the first to grow up with personal computers. Today, they are among the early adopters of the latest digital technologies and are quick to play in emerging platforms. Reminds me of another group of individuals: The Civil War generation. The young men who volunteered to serve in the Union and Confederate armies were the first to grow up with photography. These are the same young men whose childhood likenesses were captured by daguerreotypists in the early forties. 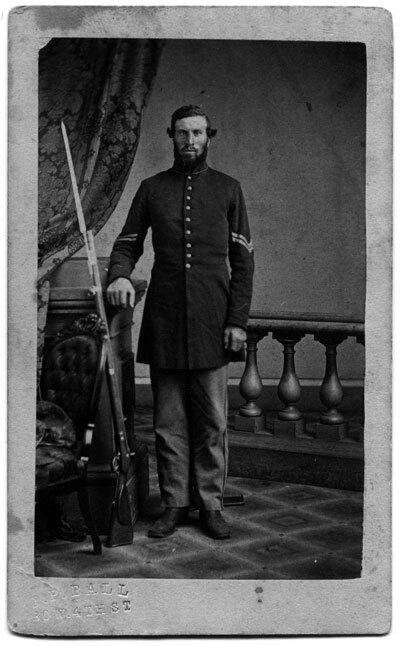 It is no surprise that these are the same soldiers who marched to their hometown photographer’s studio in droves and sat for their carte de visite portrait. The Internet generation will come of age in the next decade. Perhaps they will share a common thread with the first generation to grow up with a newspaper, some 350 years ago.